Dental Hygienists | What Role Do They Play in Treatment? Dental hygienists are licensed oral health professionals specializing in prevention and treatment of oral diseases, as well as protection of patients’ total health. Whether by administering a prophylaxis (tooth cleaning) or taking X-rays, hygienists — dentistry’s advanced defensive guards — are often the first members of the dental team to treat patients. By providing essential preventive dental care, hygienists make it possible for dentists to focus on other complex and specialized dental procedures. Hygienists play a vital collaborative and auxiliary role in dentistry to ensure the highest and most comprehensive and efficient level of oral health care for all patients. They also provide services important for good health to underserved populations. Depending on their education and experience, dental hygienists may work as clinical practitioners, educators, administrators, researchers, managers, preventive program developers and/or consultants. 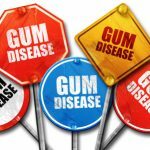 Each state has its own regulations, so the range of services a hygienist performs varies based on the state’s legislature. Dental hygienists are restricted in most states to practice under the general, direct or indirect supervision of dentists. Currently, the only exception is Colorado, which allows licensed hygienists to operate independent practices without dentist supervision, except in state institutions. California recognizes the special status of a Registered Dental Hygienist in Alternative Practice (RDHAP), which allows such hygienists to operate an independent practice, providing the state board is presented with documentation of an existing relationship with one or more dentists for referral, consultation and emergency services. Other states allow dental hygienists to practice unsupervised in nursing homes, schools, community centers and other under- or non-served institutions that require oral health care. Under the new government health reform, which includes mandatory oral health benefits for children and young adults up to 21 years old, grants will provide demonstration programs to train or employ “alternative dental health providers,” such as expanded function dental hygienists, in order to increase opportunities for dental care in underserved communities. Dentists and hygienists also will receive funding for education programs, financial support to specialize in pediatric or public-health dentistry, and support for dental clinics and oral care in health clinics and school-based sealant programs. Some progressive states already allow dental hygienists to use dental lasers (after receiving training to be recognized as competent practitioners) and/or to perform more in-depth restorative procedures (such as placement and removal of temporary restorations and crowns; placement, carving and finishing of amalgam restorations; and placement and finishing of composite restorations). 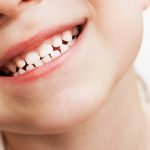 Additionally, the newly created Advanced Dental Hygiene Practitioner (ADHP) position has been established by the American Dental Hygienists’ Association (ADHA) to help meet the growing need for cost-effective diagnostic, preventive, therapeutic and restorative services among the underserved population. The expanded role of the ADHP — similar to the concept of a certified nurse midwife, clinical nurse specialist and certified registered nurse anesthetist in the nursing profession — is designed to offer advanced and specialized service where unmet public health needs in the dental hygiene profession exist. As the position is further defined, refined and implemented in the various states, it is expected that the role of ADHP will encompass both preventive and restorative care not currently performed by hygienists (such as removal of decayed tooth structure and preparation of teeth for temporary/permanent restorations). Another new position — advanced dental hygiene therapist (ADHT) — is currently now available only in Minnesota. Depending on their scope of intended practice, students seeking licensure under this academic program, which can lead to either a bachelor’s or master’s degree, will take some of the same classes as dental and/or hygiene students to acquire some of the same skills and competencies. This will allow them to develop some additional skills for services that currently are only provided by dentists. ADHTs also will be held to the same requirements in order to assure that their patients — no matter their location or socioeconomic situation — will receive the same kinds and levels of care and service provided by dentists. Those who achieve dual licensure as a dental hygienist and an ADHT will not have to work under direct supervision by a dentist. Many hope that this will positively impact the access and quality of care for a larger and more diverse group of patients. The success of the Minnesota program is being watched closely by other states to see if this model can achieve the increased access while maintaining the same standard of care. A high school diploma and college entrance test scores are required for admission into a dental hygiene program. High school students pursuing a hygienist career should take courses in biology, chemistry and mathematics. Specific dental hygiene program entrance requirements vary from school to school. Hygienists are educated in academic programs at community or technical colleges, dental schools or universities accredited by the American Dental Association Commission of Dental Accreditation. Each accredited program lasts at least two years. In addition to general college-level class work, the curriculum includes laboratory, clinical and classroom instruction in subjects such as anatomy, chemistry, clinical dental hygiene, dental materials, microbiology, nutrition, pathology, periodontology, pharmacology, radiography, and social and behavioral sciences. The majority of programs at community or technical colleges, or dental schools take at least two years to complete, with graduates receiving associate degrees. An associate degree allows a hygienist to take licensing examinations (national and state or regional), become licensed and work in a dental office. 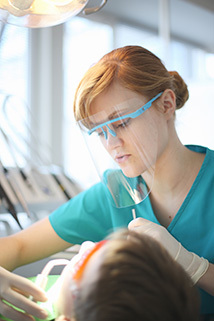 University-based dental hygiene programs offer bachelor’s and master’s degrees, which generally require a minimum of two additional years of education. Bachelor’s and master’s degrees are necessary for teaching, research and clinical practice in school or public health programs. Hygienists must be licensed by the state in which they practice. In all states except Alabama, state licensure requires that a dental hygienist must graduate from a nationally accredited dental hygiene education program and successfully pass a national written examination and a state or regional clinical examination. The American Dental Association’s (ADA) Joint Commission on National Dental Examinations administers the written examination, which is accepted by all states and the District of Columbia. State or regional testing agencies administer the clinical examination. In addition, most states require an examination on the legal aspects of dental hygiene practice. Alabama is the only state that does not require candidates to take the ADA written examination. Instead, Alabama requires that candidates meet the requirements of the Alabama Dental Hygiene Program, which mandates taking courses, completing on-the-job training at a dentist’s office, and passing a separate state-administered licensing examination. After receiving their license, dental hygienists can use RDH after their names to signify that the state recognizes them as a Registered Dental Hygienist. In Indiana, the credential Licensed Dental Hygienist (LDH) is used instead of RDH. Registered (or licensed) hygienists practice according to the requirements of individual state dental practices.